Space is now established as a steady and stable, if evolutive, activity. 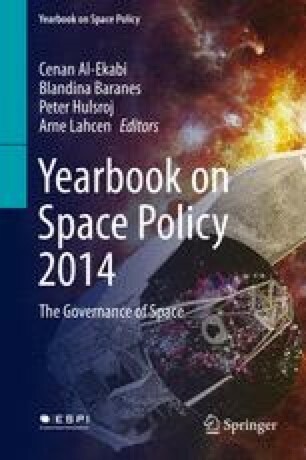 It is estimated that 1 150 satellites will be launched from 2013 to 2022, against 810 during the previous decade (2003–2012), with two thirds as government-paid missions. Let us say 100 per year, providing total revenue of 248 Gigadollars. If the 10 countries possessing a space industry will receive 90 % of the market of government satellites, 35 emerging countries will represent a market of 2 Gigadollars per year. About 25 geostationary commercial satellites are launched per year (24 in 2013, with new players: Azerbaijan, Bolivia, Qatar). The other commercial satellites are devoted to observation from helio-synchronous orbits. In 2013, they were at least 8 of them launched. Including minisats, the 78 successful launches of 2013 have placed in orbit 207 payloads (among which 82 cubesats from Austria, Ecuador, Estonia, Peru, etc. ).